Xenia with her flowers . . .
I’ve met Xenia on a few locations – both in the PNW and here, at the November 2017 New England Farmer Florist Connection event. Today’s guest is Xenia D’Ambrosi, owner of Sweet Earth Co. in Pound Ridge, New York – where the New York City suburbs transition toward the lower Hudson Valley. 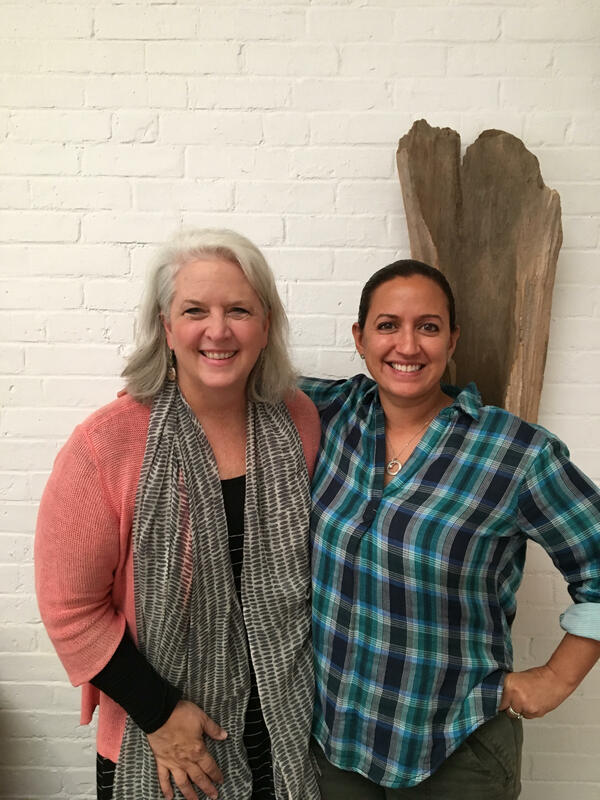 I’ve invited her to share her story as part of my 2018 goal to zero in on the successful small business strategies of Slow Flowers members. 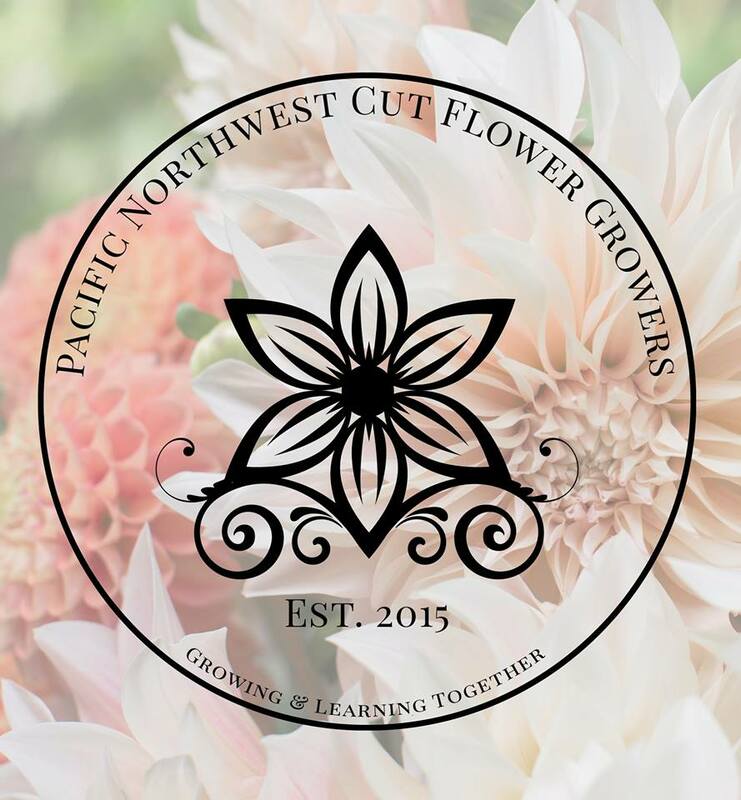 There’s so much creativity and innovation taking place in flower farming and floral design and we are a community of generous individuals who are incredibly eager to share their stories. 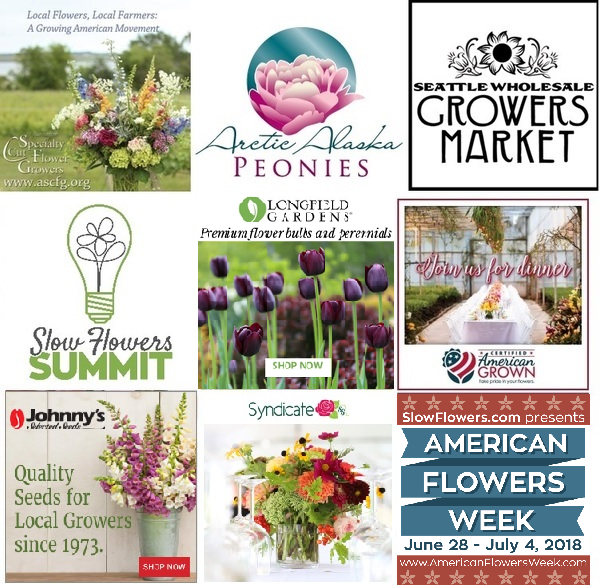 Whether it’s about extending one’s brand to related products and services or diversifying to reach a new market or changing up the channels through which you’re selling flowers — all is relevant and I want to hear about it! Before we join my conversation with Xenia, though, I want to share a report from the Pacific Northwest Cut Flowers Growers upcoming meet-up. 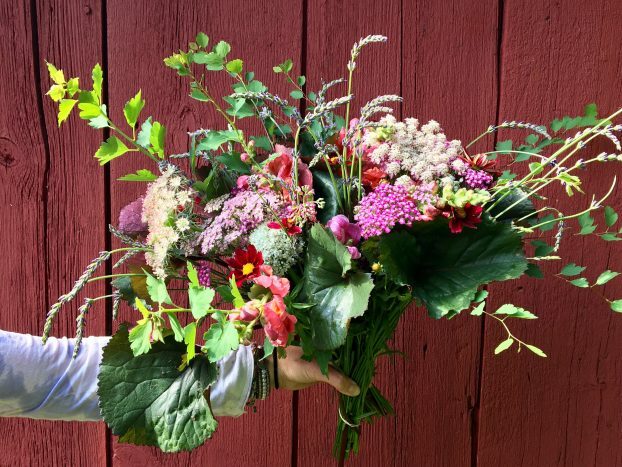 For the fourth year, flower farmers, farmer-florists and floral designers are gathering for an intensive day focused on the practices, crops and marketplace that makes this region dynamic and unique. The day’s keynote speakers, Ralph Thurston and Jeriann Sabine from Bindweed Farm will wow you. Listen to their 2016 appearance on the Slow Flowers Podcast here. 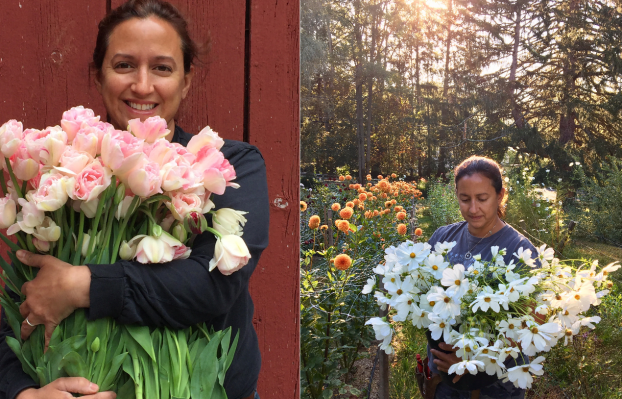 Erin McMullen of Rain Drop Farms in Philomath, Oregon, is part of the planning team for the February 25th Meet-Up in Corvallis, Oregon. I’ve asked her to share a bit about the sure-to-be-sold-out event. Tickets are going fast and it’s time to grab yours if you’re thinking about joining this one-day session next month. 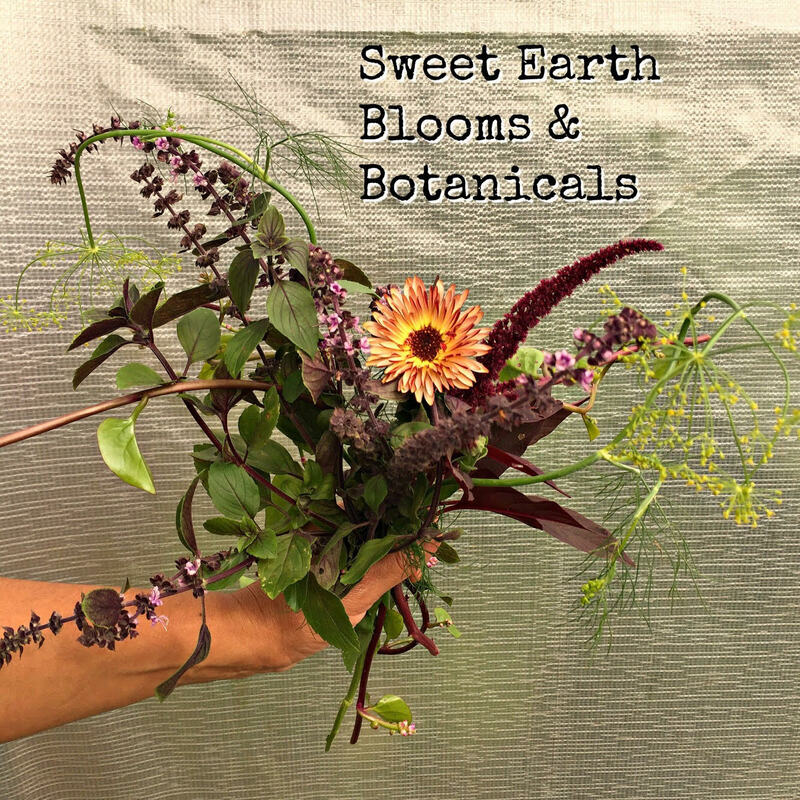 A glorious seasonal bouquet from Sweet Earth Co.
More seasonal annuals, perennials and herbs from Sweet Earth Co.
Now, to our main guest of the day, Xenia D’Ambrosi of Sweet Earth Co.
Xenia D’Ambrosi has a passion for sustainable gardening and horticulture. 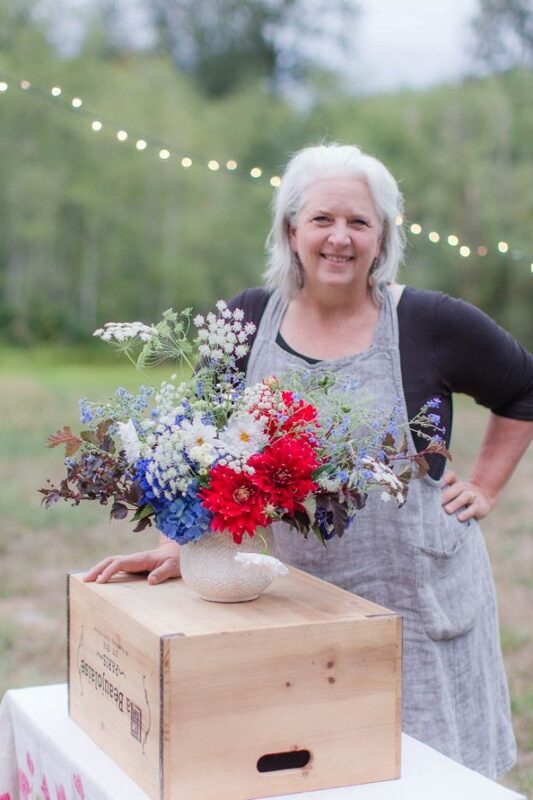 Her company Sweet Earth Co. specializes in designing and maintaining sustainable gardens and natural landscapes, as well as crop planning and management. 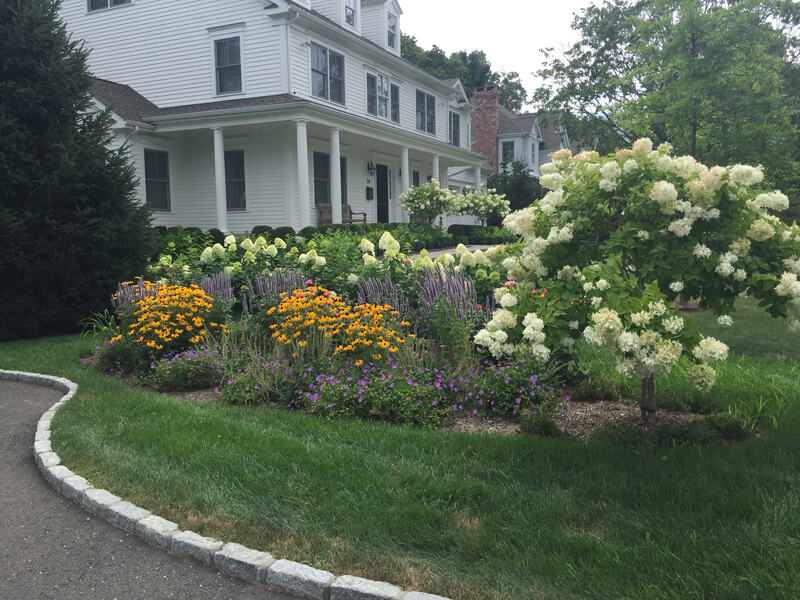 Sweet Earth Co. was built around a mission –to help clients improve function, beauty and biodiversity in their landscape while mentoring and partnering with them to understand and practice the basic tenets of sustainable landscaping. Mixing function and beauty is something Sweet Earth does close to home. Having recently rebranded her business as Sweet Earth Co. Blooms & Botanicals , Xenia sustainably grows specialty cut flowers and offers a flower and herb CSA, as well as produces a line of specialty herbal teas. 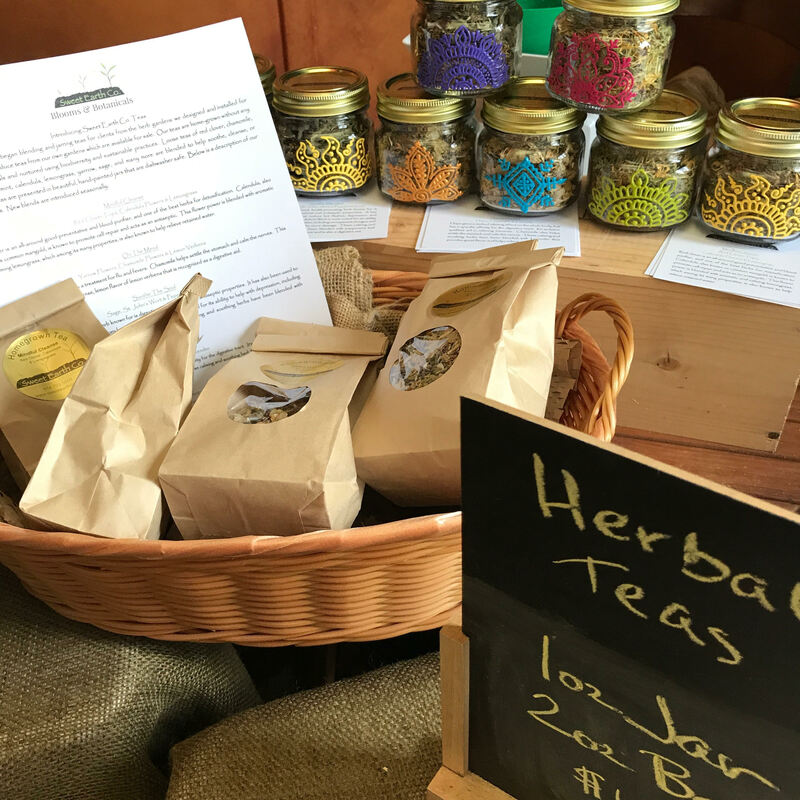 Visitors to the farm stand at Sweet Earth Co find local flowers, herbs, teas, honey, herbal products and garden gifts and decor. Xenia earned a Masters in Public Health and an MBA from Columbia University, as well as a certificate in gardening and sustainable practices through The New York Botanical Garden. She is the author of articles regarding sustainable gardening and has led various workshops and educational events about gardening and agricultural literacy. Sweet Earth Co.’s herbal tea collection ~ a diversified product from the farm. The Slow Flowers Podcast has been downloaded more than 274,000 by listeners like you. Thank you for downloading, listening, commenting and sharing — it means so much. This entry was posted on Wednesday, January 24th, 2018 at 8:36 am	and is filed under American Grown, Entertainment, floral design, Flower Farming, General, Plants, Podcast Episodes, SLOW FLOWERS Podcast, Slowflowers.com the Directory of American Flowers. You can follow any responses to this entry through the RSS 2.0 feed. You can leave a response, or trackback from your own site. Fabulous blog post I loved it very much. You did a great job. I appreciate you for your passion for sustainable gardening and horticulture. Fabulous blog post I loved it very much. You did a great job. I appreciate you for your passion or for sustainable gardening and horticulture.